Anyone who knows me well enough can tell you about my obsession with chocolate. M&M’s, Butterfingers, chocolate chip cookies, chocolate cake—you get the picture. 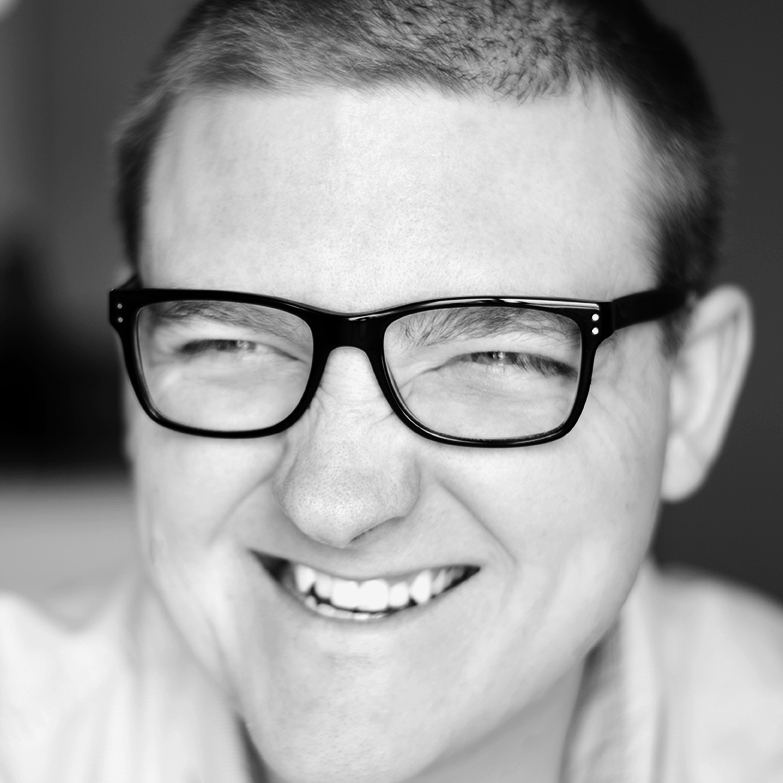 And recently, I’ve been eating peanut butter more often, but usually in the form of a peanut butter + jelly sandwich. 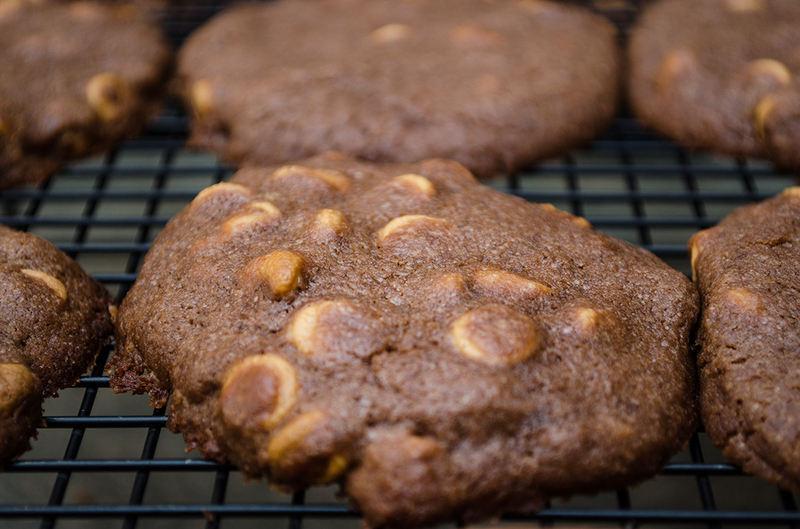 I decided to merge me to sweet-tooth cravings together and made this chocolate peanut butter cookie. Let me tell you—it’s amazing! The chocolate is rich but not overpowering. 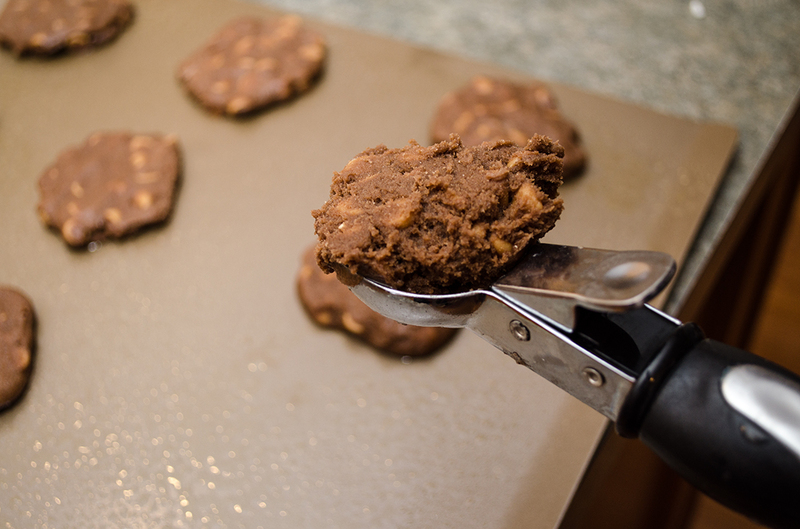 And the peanut butter chips add both warmness and great texture. 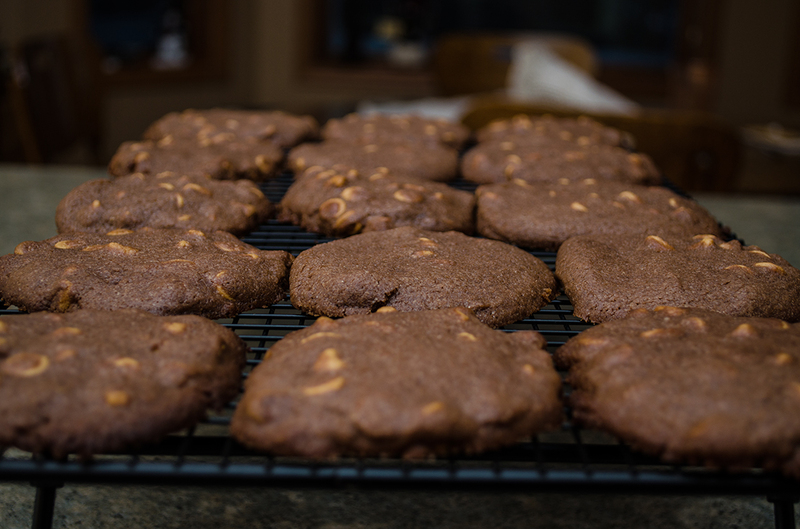 What I love about these cookies is actually watching people take their first bite. They never expect to have that much flavor packed into a cookie. 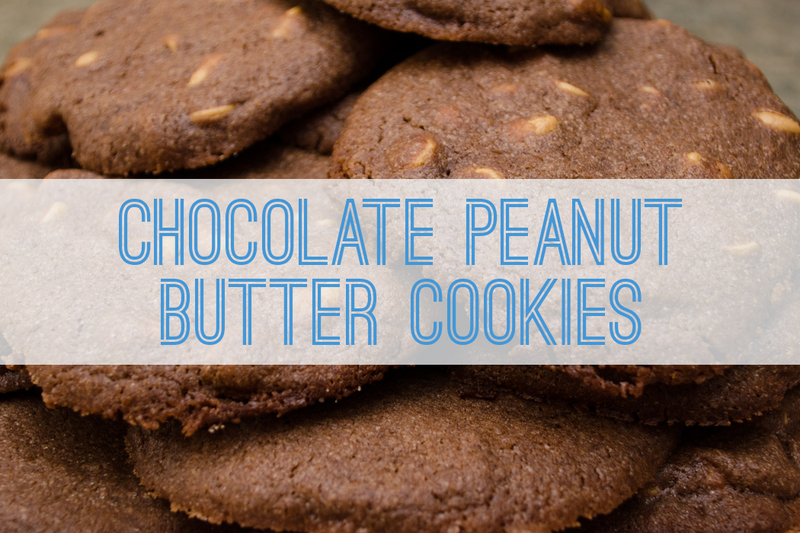 The combination of chocolate and peanut butter is simple, but it’s also very bold. So without further ado, start your drool engines. I bet you can’t eat just one! 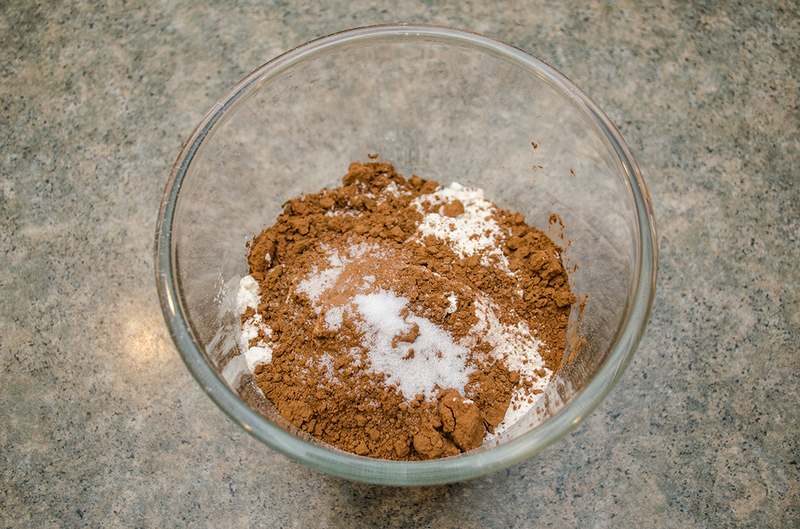 Stir together the flour, baking cocoa, baking soda and salt. Add flour mixture to butter mixture a little at a time until well combined. 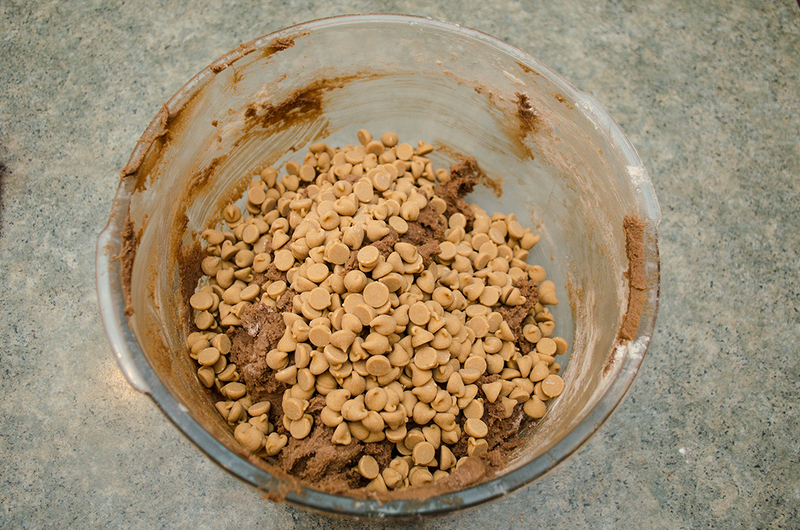 Add peanut butter chips and mix well. Scoop to desired cookie size. Bake at 400°F for 10–11 minutes or until slightly firm to the touch.